STOP HS2 | Bridge? What Bridge? It’s long been known that HS2 Ltd haven’t been great when it comes to doing surveys. Many people have said traffic surveys have seemed incomplete, have had gross underestimations and have been done, maybe deliberately, when roadworks have completely skewed the results. When drainage surveys were done, HS2 Ltd admitted they couldn’t find some of the smaller drains, despite the fact most people know to find them at the side of the road, just next to the kerb every hundred yards or so. Wildlife has been particularly problematic. You see, not only are animals so inconsiderate as to move around, but they deliberately hide from people in trees or underground. Some take it a step further, only coming out at night or deciding to be out of the country on a winter holiday when the surveyors come round. There is just one problem with that statement. 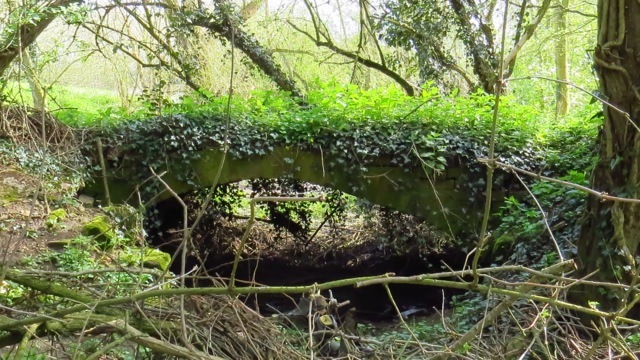 The mill may have gone, but as for the bridge, well…. The Weston Mill Bridge. Maybe below ground level, but certainly not underground.